Businesses need to have an online presence to be truly successful in this competitive world. Fortunately, it’s now very easy to create and launch a website. However, keep in mind that choosing the right theme for your business is equally important. 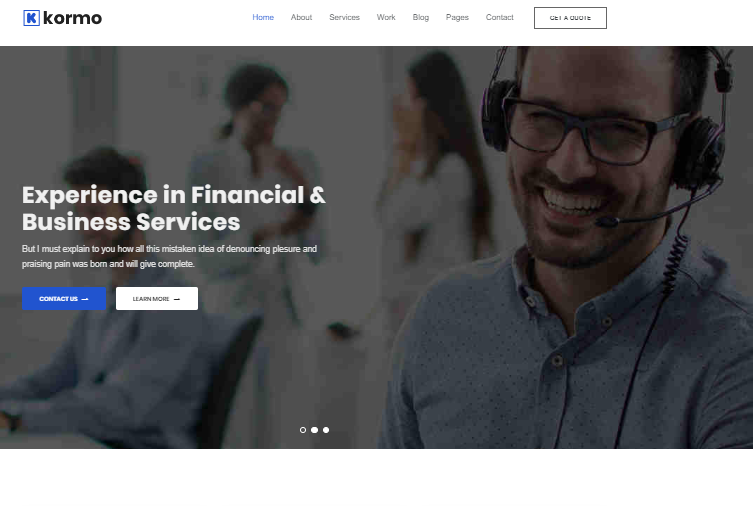 In this post, we are listing 20 of today’s best business WordPress themes (in no particular order). Most of the ones included here are multi-niche themes – therefore, you can more or less use any of them no matter what type your business is. We have also included themes that are particularly made for certain industries – and they’ll work best when you use them for their specific purposes, that is assuming you’ll be using them on a WordPress hosting provider that will make your site purr without much downtime (or if you have the budget, go for a managed WordPress host). Drag and drop page builder – To help you design a well-functioning website even without coding knowledge. Slider – Having a slider plugin makes it really easy to create slides that will showcase your content. SEO – It’s important for your business site to show up in search engines. 1-Click demo install – You can choose a sample demo’s style and format and simply add your own content. Translation-ready – A multilingual site is essential for businesses with worldwide clients and customers. 1-Click Installation – Import a demo site and just fill it in with your content. Visual Composer – This drag and drop page builder is included for free. Slider Revolution – This plugin for creating slides is included in the package. SEO optimized – The theme is coded in such a way that search engines will index its content. Header builder – There’s a template to help you build a header for your business site. Mega menu – Your menu can carry several layers of categories. HTML5 and CSS3 – It uses clean codes in creating the theme’s structure. Column support – You can use up to 6 columns when building your website’s design. PSD Files – Photoshop PSD files are included in the package. Plugin compatibility – The theme is compatible with WooCommerce, Yoast, All in One SEO, WPML, Contact Form 7, and many more. Cross-browser compatibility – The theme is compatible with all major browsers like Internet Explorer, Chrome, Firefox, and Safari. 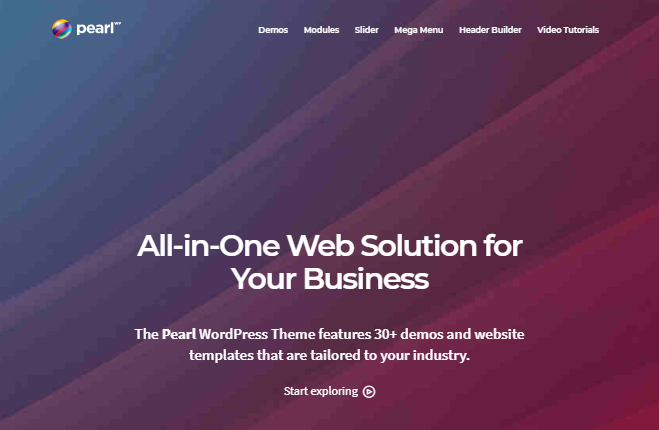 As you can see, the Pearl WP theme can indeed be used for different types of businesses. You can specifically choose the particular features that are needed for your niche – and no coding skills are required to do this. If you are looking for a highly customizable business WordPress theme, the Bostan is worth checking out. It works great for different types of agencies, especially those that are into promoting services. Here, look at some of its most notable features below. Options panel – You can customize the look of your website at the back-end of WordPress. Width options – You can choose to go for a wide look (1,200px grid) or a narrow look (960px grid). Layout options – The theme can provide for a boxed or full-width layout. Visual Composer – This plugin comes for free. It’s a drag and drop page builder that you can use to design your site without knowing a thing about codes and shortcodes. Revolution Slider – The theme also includes this premium plugin for free. It’s a useful tool for creating slides and animations on your site. Portfolio filter – Your site visitors can use the filter function when searching your site for the things they need. Unlimited fonts and colors – Use these elements as much as you want when designing your site. Translation-ready – The theme is compatible with the WPML plugin. You can turn your website into a multilingual one. Google fonts – You have access to the Google font library. Projects carousel – You can present your projects in an attractive carousel display. Pricing table – You can easily include a table when presenting your products. Touch-friendly – Viewers using touchscreen devices can easily navigate through your site. XML demo data – This is included in the theme’s package. Needless to say, you can depend on the Bostan theme’s flexibility and functionality when presenting your business on the internet. It comes with tools and features that will help you reach your customers, clients, buyers, and audience. Of course, the theme will also work for other related fields and industries. To find out if this theme will work for your business, check out its top features below. 1-Click importer – The theme comes with a sample demo that can be cloned and used as is. Niche-specific designs – You can choose from several templates that represent a particular niche. SEO optimized – The theme was coded to be search engine-friendly. Social links – You can include social links on your website’s header and footer areas. Header options – The theme comes with at least 3 header templates to choose from. Google fonts – You can use the fonts in Google’s font library. Translation-ready – You can choose to create a multilingual site and reach a wider audience. Responsive design – The theme looks good and responds well on modern devices. Bootstrap 4 framework – You don’t need coding skills to use this theme as it has already been structured to function as intended. Custom widgets – There are ready widgets that you can place in different areas of your site. Contact Form 7 – The theme already has this plugin for creating the contact form for your website. Image background – You can choose from several background themes. Visual Composer – Use this drag and drop page builder to quickly put up your site. Google Map – The theme is integrated with Google map. 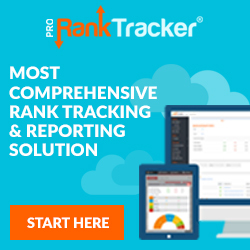 Your site visitors can locate your place of business from anywhere in the world. Cross-browser compatibility – The theme is viewable on all major browsers. Lifetime updates – Get updates for free when you purchase the theme one time. Big and small businesses will find the Kormo WP theme useful and simple to use. Even without coding skills, you can create a beautiful and functional website with the theme. See if your business will benefit from the theme’s features listed below. 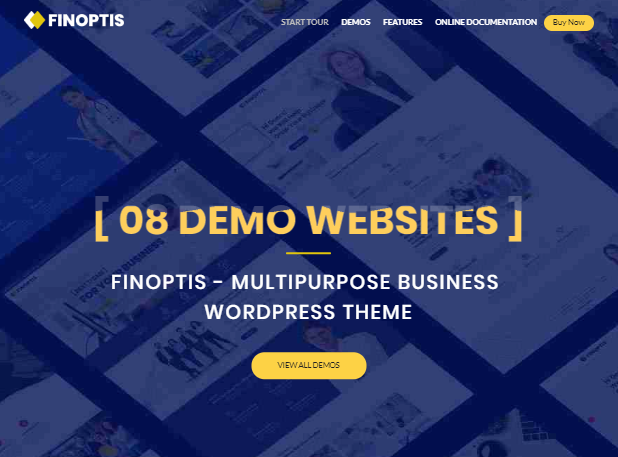 Demo websites – The theme comes with at least 7 sample demos to choose from. Demo homepages – Choose from several templates for your homepage. Blog layouts – There are at least 5 layouts to choose from. Header options – Choose from the 5 variations of headers included in the theme. Contact page – There are at least 3 layouts for the contact page. 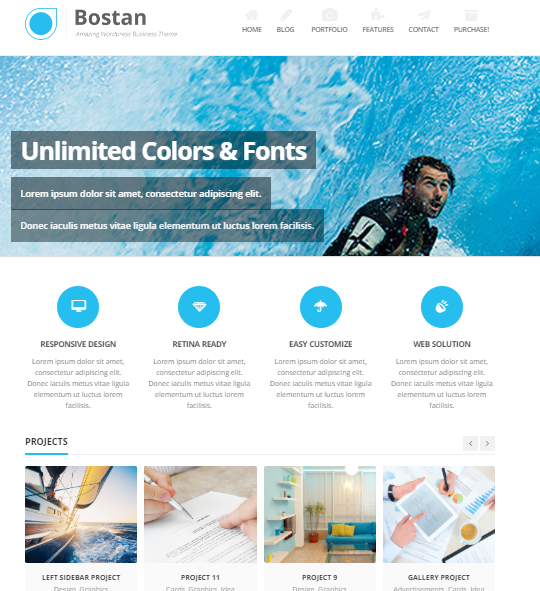 Unlimited colors – The theme comes with unlimited color options. 1-Click demo installation – Easily install your chosen demo and fill it up with your own content. Revolution Slider – This slide builder is included in the package. WPBakery – The theme includes a drag and drop page builder to save time in putting up your website. SEO-friendly – If ranking your site and is important to you, know that this theme is coded to be search engine-friendly. Google fonts – You get access to Google’s font library. Responsive layout – Devices with large and small screens can load the theme smoothly. Bootstrap 4 framework – The theme is cleanly coded and is well structured. Pricing table – You can include a pricing table in your site’s design. Well documented – You’ll get a set of instructions on how to use the theme in building your site. Browser support – The theme is compatible with major browsers such as Chrome, Internet Explorer, Safari, Firefox, etc. 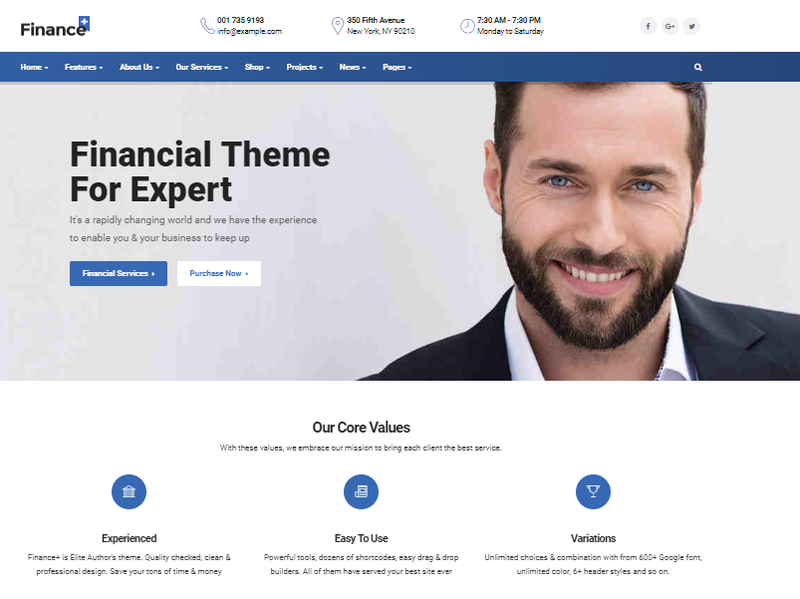 When you decide to go for this theme, you can customize it to fit the type of business that you have. It is also a full-featured theme that comes with several options on how to design your website. Post formats – Aside from the standard format, you can also include videos and gallery sections on your posts (among other elements). Sidebar option – The theme has one sidebar that carries several widget areas. Footer area – The footer area can hold 4 widgets. Google fonts – Get access to over 600 fonts from Google’s font library. Live customizer – You can customize the look of your site and view the changes live. Page builder – Use the theme’s drag and drop tool in designing your site. Page builder add-ons – The theme comes with at least 10 blocks of elements that you can use with the theme’s page builder. SEO optimized – The theme is coded to be SEO-friendly. Header title – There’s a Heading block that you can customize to adapt to your own brand. Footer text – You can customize the words on the footer section of your site. Services block – Easily display your services on your website. Testimonial block – Display testimonies from your clients. Team block – Create a section for your team members. 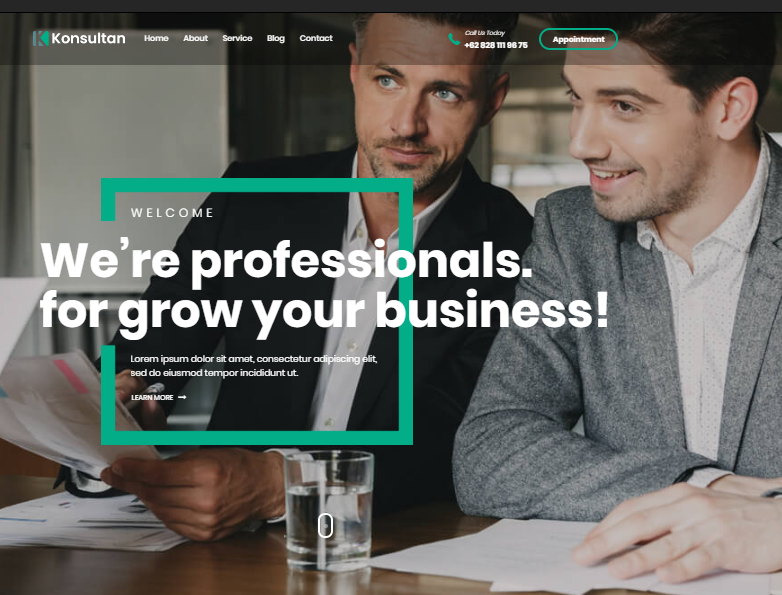 The Konsultan is a simple WordPress theme for consulting types of businesses. You can use the theme even if you don’t know a thing about coding as it comes with an easy-to-use page builder, plugins, and widgets that will make your website truly functional. Page templates – You can choose from several templates to use for your site. Background patterns – The theme comes with a lot of background patterns that you can use in designing your website. Customizable background image – Use your own brand’s image files. Homepage with Blog – You can have a blog section on your site’s homepage. Translation-ready – The theme comes with a .po file to make your website translatable into other languages. Slideshows – There 3 styles of slideshows that you can use in showcasing your content. Unlimited colors – Design your site using the exact colors that you want. Google fonts – The theme is compatible with Google fonts. Ajax contact form – A contact form is included in the theme. Unlimited sidebars – You can use and position sidebars anywhere on your site. Unlimited background colors – The theme’s color picker allows you to use any shades of color. Multilevel menu – Create a dropdown menu with several categories. Widgetable Sidebar – Drag and drop widgets onto the sidebars. Widgetable Footer – Drag and drop widgets on the footer area. 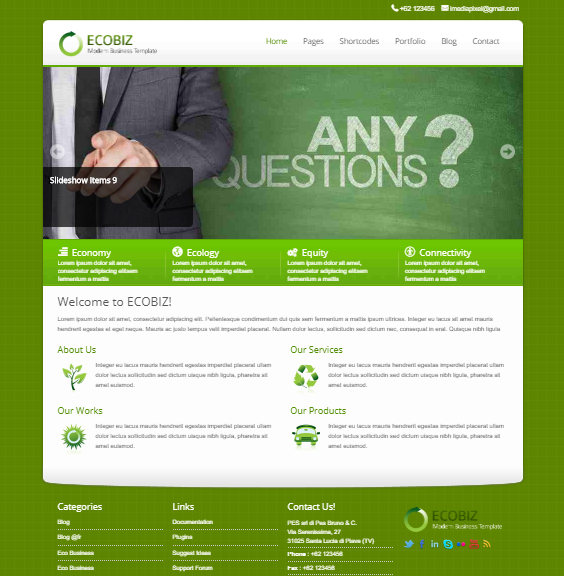 The Ecobiz WordPress theme is easy to use as it comes with detailed instructions on how to install the theme. It is also cleanly coded to allow for fast and efficient loading of content. The Factory makes for an ideal WordPress theme for large and small businesses based on different industries. It’s very easy to customize as it comes with multiple setting options and tools to help you build your website. Listed below are some of its most important features. 1-Click installation – You can install a sample website and use its format and structure in creating your own site. Layout options – Choose from a full-width or boxed layout. Sticky header – You can enable the sticky header option if you want your header to still be visible as the user scrolls down the page. Logo and header height – You can adjust the size of your Company’s logo and header. Footer option – You can opt to have 1 or 2 footers. Unlimited colors – You can use the exact colors that you need to match your brand. SEO optimized – The theme is coded to rank on search engines. Clean codes – The theme loads fast on any device. Sidebar options – The sidebars can be placed to the left or right or both sides of the page. You can also choose to leave out sidebars on your site’s design. Google fonts – You can use Google fonts in designing your website. Responsive layout – The theme looks good on major devices (large screens, small screens, and touchscreens). Visual Composer – Included in the theme is a drag and drop page builder to make it really easy to design your site. Layer Slider – Easily include slides in your product presentations. Installation guide – The theme comes with a video guide and full documentation of instructions on how to use the theme. 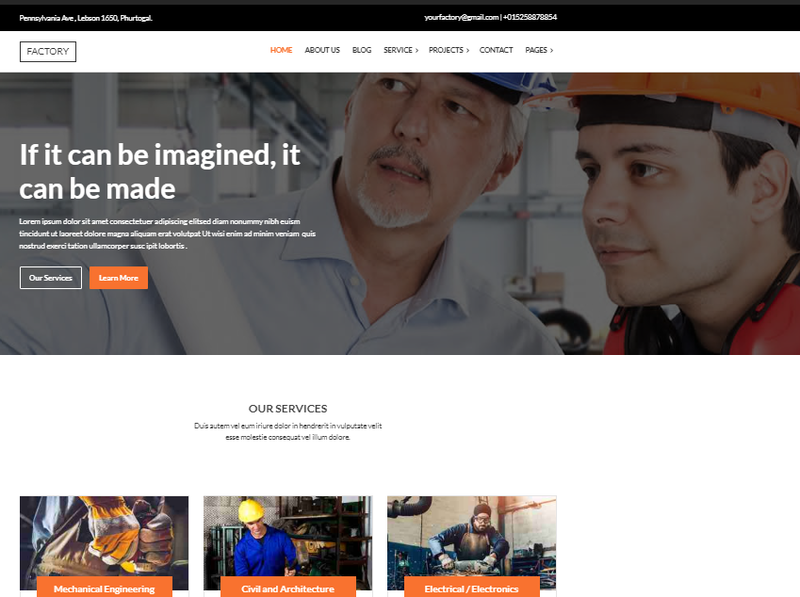 With the Factory WordPress theme, you can mix and match different elements to create the website that’s most suitable for your business. The instructions are also easy to follow and the drag and drop tool makes it really easy to design your site. 1-Click installation – Choose from the sample demo pages and adapt as your website’s design. Custom widgets – The theme comes with ready widgets that can be installed and set up immediately. Columns – You can adopt a 2-column style. Google fonts – Use Google fonts to design the look and feel of your website. Unlimited sidebars – You can design your site’s pages to have 1 or 2 sidebars. Portfolio management – Your posts can include portfolio projects and galleries. Translation-ready – Your site can easily become multilingual to accommodate users from other countries. MailChimp – This included feature makes email marketing and managing your site subscribers very easy. Contact Form 7 – This plugin is included in the theme. Revolution Slider – You’ll get this premium plugin for creating slides for free. Page builder – The theme comes with a drag and drop page builder for arranging the different elements on your website. Responsive layout – The theme performs well on different devices. Unlimited colors – You can customize the colors you use in designing your site. Browser compatibility – The theme works for major browsers like Safari, Internet Explorer, Firefox, Chrome, etc. Fully documented – Instructions on how to use the theme is included in the package. 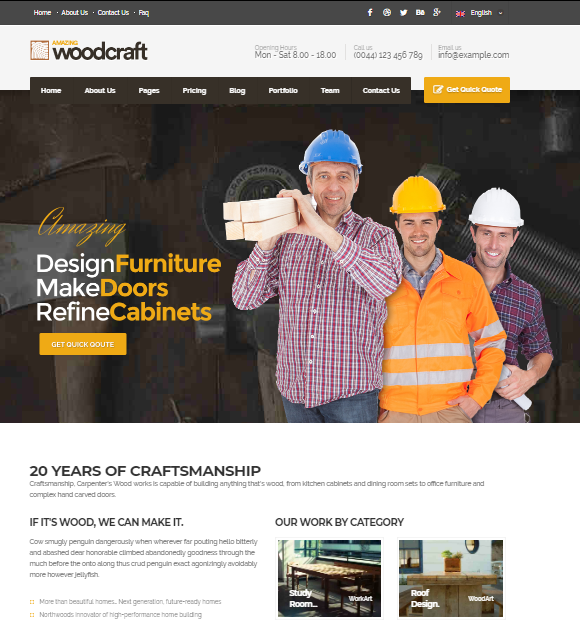 Do consider the Carpenter WP theme even if your business is not totally focused on the carpentry business. As you can see, the theme also works for other business industries as well. 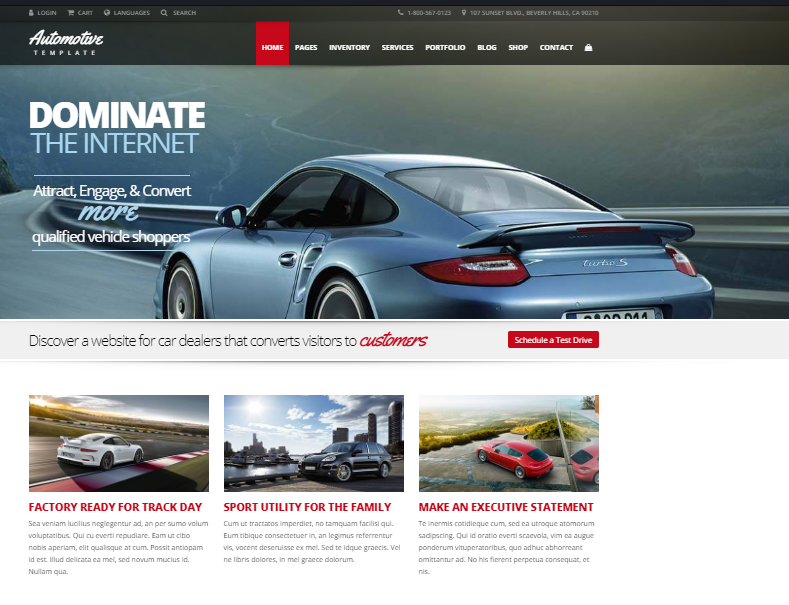 The Automotive car dealership WordPress theme is especially made for car dealership websites. Look at its top features below and see for yourself if you can use this theme for your car business. Automotive listings – As your car inventory changes, you can edit (add or remove) items from the list. Set up wizard – The theme comes with an easy-to-follow setup tool and all you need to do is point and click on the options. Layout – You can create up to 4 comparison listings. Filter option – Your site visitors can use the filter function to find the vehicle that they need. Loan calculator – The theme comes with a built-in loan calculator to easily compute your sales. Inventory search – You can easily search through your car listings. Inventory management – Easily set up your vehicle inventory file. Blog option – You can include a full blog layout on your website. Custom colors – Create your own colors to use on your site. Unlimited sidebars – You can use more than one sidebar. SEO-friendly – Ranking your website on search engines is made to be easy. Contact forms – You can create and customize your website’s contact form. Taxonomies and categories – You can customize these in a way that will suit your business. Similar Vehicles – There’s a widget for displaying similar cars. Sticky header – You can enable the sticky header option to keep your site’s header visible even when your site visitors scroll down the page. The Automobile car dealership WP theme is suitable for large scale and small scale car dealers. As you can see, it has all the necessary functions that you need to run your automobile business. Widgetized Homepage – The theme’s homepage is comprised of 14 sections which are made of movable widgets. You can rearrange the sections as you please. Page templates – The theme comes with at least 12 page templates. Footer display – You can opt to place your site’s contact form at the footer area. It can also accommodate other widgets. Header display – You have 2 options on how to display your website’s header. Gallery options – Your gallery area can have up to 4 columns. Demo import – The theme comes with sample website designs that you can clone and customize. Responsive layout – The theme responds well to different devices. WPML support – The theme is compatible with the translation plugin. Post types – Your site’s posts can include team members, practice areas, case results, testimonials, etc. SEO optimized – The theme is coded to be SEO-friendly. It’s also compatible with SEO plugins like Yoast and All in One SEO. PSD files – The theme’s Photoshop PSD files are included in the package. Case studies – You can present case studies in an easy to read format. Google Maps – Use the Google maps to show locations. Video – You can embed videos from YouTube and Vimeo. 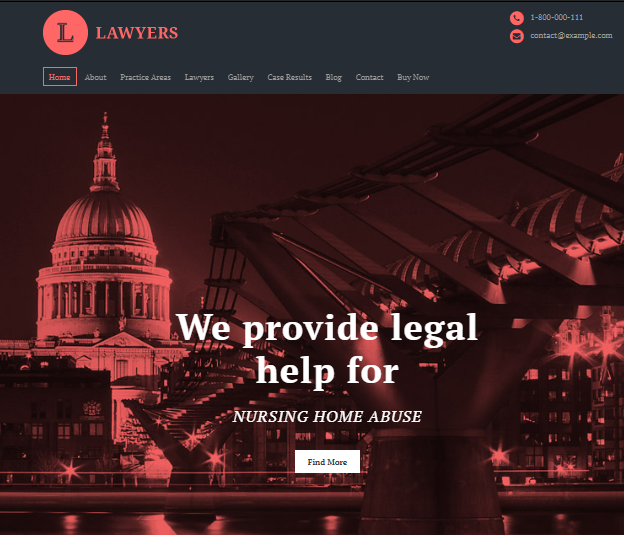 Create any law-related website with the Lawyers WP theme to fully serve your clients. You can even customize your site to function in a particular way that you like. 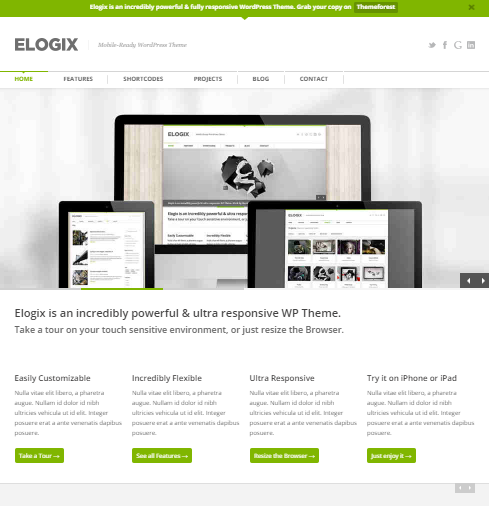 You can consider getting the Elogix WordPress theme if you’re putting up a business website. It comes with features and customization options that will make your website unique and functional as it’s intended to be. Look at the list of features below to get an idea as to how this theme works. Options manager – You can design the theme at the back-end to create a site that will represent your brand. Custom background – Each page can have a different (customized) background. Multiple sidebars – The theme allows for the use of more than one sidebar per page. Shortcodes – You don’t need coding knowledge to create tables and slideshows. Video embed option – You can include videos into your posts. Customizable settings – colors, fonts, and other elements can be changed through the settings. Touch capacity – The theme is coded to recognize touch gestures. Localization support – The whole content on your website can be translated into different languages. SEO optimized – With the best SEO practices incorporated in the theme, your site will be search engine-friendly. Google maps – You can include business locations on your website. Galleries – Your portfolio section can include galleries. Responsive design – The theme fits well on different screen sizes. Filterable portfolio – Your users can use the filter function in searching items on your portfolio section. Navigation menu – The theme allows for the creation of multilevel menus. Custom widgets – You can use the widgets that come with the theme. Any type of business in the modern world will benefit from using the Elogix WordPress theme. It’s one of those themes that you can customize according to the type of business that you have. If you’re looking for a WordPress theme that’s simple and easy to use, consider getting the Convertible theme. It would work for most business websites – so, look at its main features below to see if it’s the one for you. Page builder – The theme comes with a drag and drop tool that you can use to move elements around. Custom widgets – There are ready widgets that you can drag and drop onto your theme’s sidebars. Header layouts – There are at least 5 headers to choose from when designing your site. Menu layouts – The theme comes with at least 5 styles of menu. SEO-friendly – The HTML structure in the theme is coded in such a way that search engines will like your website. Pre-made skins – Choose from several colors of skins for your site. Demo content – Sample templates are included in the theme. Google star rating – Display your site’s Google rating when people search for your site on search engines. Translation-ready – The theme is compatible with the WPML plugin. Responsive design – Any modern device can view the theme beautifully. Post types – You can include posts that display your portfolio, teams, clients, testimonies, etc. Unlimited colors – Design your site with specific colors that go with your brand. Revolution Slider and Flex Slider – Use the slider plugins to create slideshows for your website. WooCommerce compatible – You can use the plugin if you want to set up an online shop. Video tutorials and full documentation – Get installation instructions on how to use the theme. 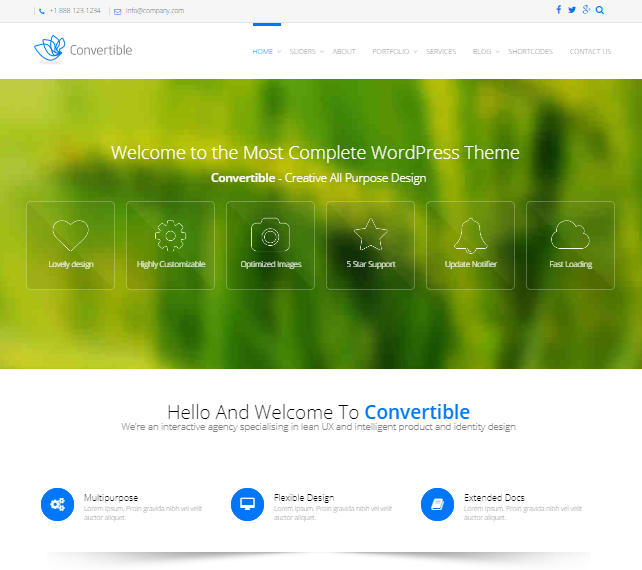 The Convertible WP theme is indeed a multifunctional theme that can work for any type of business website. You can tailor your site according to your exact needs by using the drag and drop method (no coding required). King Composer Pro – You don’t need programming skills to design your website as the theme comes with the King Composer drag and drop plugin. Slider Revolution – This premium plugin is included for free and you can create animated slides with it. Demo content – The theme comes with sample sites that you can install and simply fill up the content. Google fonts – You can use the hundreds of fonts in Google’s font library. Google maps – Show your businesses’ locations through Google maps. Admin panel – Customize how your site would look like from the back-end. Translation-ready – The theme is compatible with WPML – so, you can easily create a multilingual website. Contact Form 7 – You can use the popular contact form on your website. Redux framework – The theme uses a powerful framework for its structure. Responsive layout – When you use the theme, your site will appear nicely on the screens of different devices. Social links – You can include social media links to gain more exposure online. Customizable background – Your background can include customized images and colors. Installation guide – You’ll get video instructions and full documentation on how to use the theme. Cross-browser support – The theme is viewable from all major browsers such as Internet Explorer, Safari, Chrome, Firefox, etc. The BuildArk WP theme makes for a good choice for creating a business website. You can easily put up your site with the drag and drop page builder and the theme will look good on modern devices. You can look at the list of features below to find out if this theme is the one you’re looking for. King Composer Pro – You can create and move elements around with this drag and drop plugin. 1-Click Installation – Any of the sample sites can be cloned and customized for your brand. Revolution Slider – You’ll get this premium plugin for free when you purchase the theme. It’s a plugin for creating slides and animations. Homepage layouts – The theme includes at least 4 layouts for the homepage. Header types – You can choose from 4 header styles. Page layout – You get to choose between full-width and boxed layout. Admin panel – The settings can be customized at the backend of WordPress. WPML support – You can transform your site into a multilingual one. Google fonts – Use any of the fonts from Google’s font library. Unlimited colors – You can use any shade of colors when designing your site. Contact Form 7 support – The theme is compatible with this contact plugin. Redux framework – The stable and powerful Redux framework is used in the theme. WooCommerce support – You can use WooCommerce when creating an online store on your site. Responsive layout – The theme will load smoothly and beautifully on different sizes of screens. PSD files – You get the PSD Photoshop files with the theme. 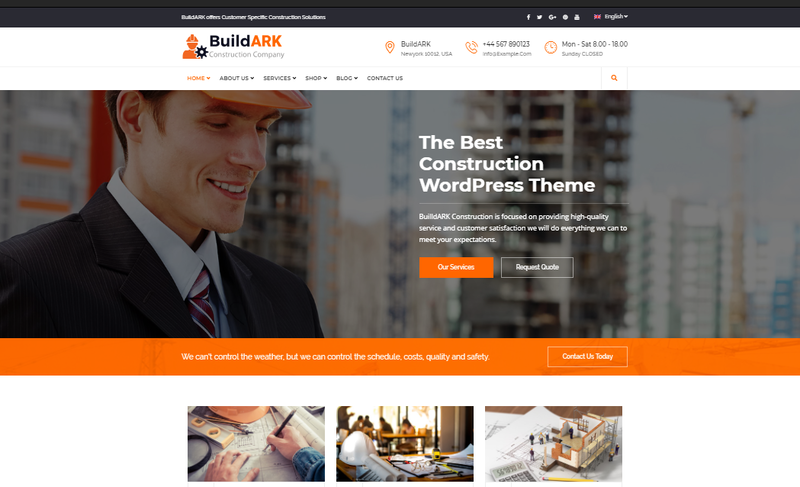 As you can see, the BuildArk WordPress theme provides all the necessary features needed in establishing an online presence for your business. Putting up your site is also made simple by the drag and drop plugin (no programming required). Homepage layouts – There are at least 18 layouts to choose from. Header styles – The theme comes with about 5 variations of headers. About page – You can choose from 3 styles for your About page. Services page – Choose from 3 styles of designs for your Services page. Projects page – You can choose from 5 different styles for your Projects page. Project details page – The theme comes with 3 layouts for the project details page. Blog page – There are 5 layouts to choose from when creating a blog page. Contact page – The theme comes with 2 contact page layouts. 1-Click install – Import the sample website with just a click and it’s yours to customize. Unlimited colors – You are free to use any color when designing your site. Visual Composer – You’ll get this premium drag and drop page builder for free. Revolution Slider – This premium slider theme used for creating slides is included in the package. Google fonts – You get to access the Google font library. Pricing table – You can incorporate a pricing table into your site’s design. Testimonial section – You can include a Testimonials section for your product on your website. Browser support – Modern browsers can access the theme. Well documented – You get a complete set of instructions on how to use the theme. Different business sectors can make use of the Hepta WP theme to create websites for their industries. It’s easy to use and the theme provides a lot of options for customization. 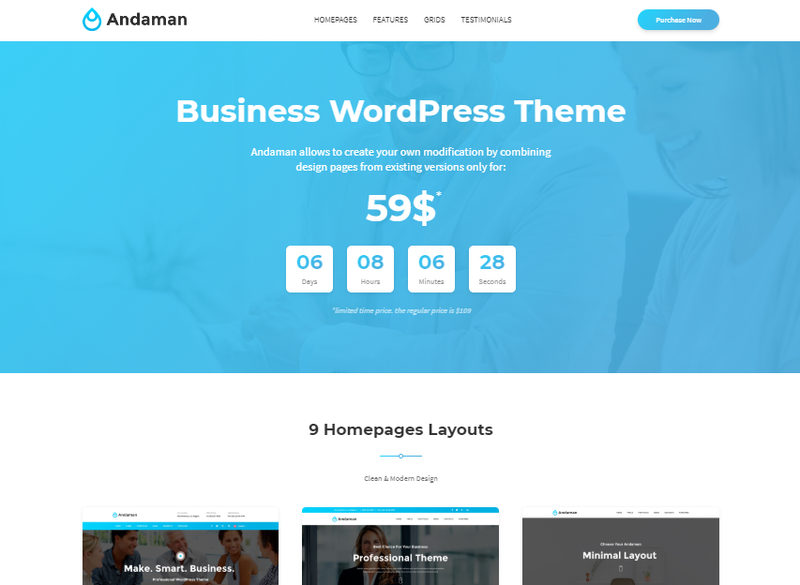 Andaman is a creative, modern WordPress business theme. It’s a multi-niche theme that will work well with different industries and lines of work. Web developers and designers will also find the theme easy to use when designing sites for their clients. Listed below are just some of the theme’s main features. Filterable portfolio – Your site visitors can use the filter function when searching through the portfolio section of your site. MailChimp – Easily manage your site members and email subscribers with this free plugin (already included in the package). Google maps – Show locations by incorporating the Google map into your website’s design. Google map skin – Customize the look of Google map to fit your website’s look. Contact form – The theme comes with an easy-to-use contact form. Clean coding system – Designers will find it easy to tinker with the theme’s codes. Bootstrap and JQuery – The theme supports these frameworks. SEO-friendly – Search engines will easily find and index your site. Free updates – Buy the theme once and get free updates for life. Fully documented – The package includes detailed instructions on how to install the theme. If readability and cleanliness are some of your priorities in choosing a website theme, consider the Andaman. It can provide for a well-functioning site for any business endeavors. Admin panel – The theme comes with a lot of options on how to customize your website. Shortcode manager – All aspects of the theme are well-coded. Filterable blog posts – Posts on your site’s blog page can be filtered according to keywords. Data and price tables – Tables can be easily incorporated into your site’s design. Headers – The theme comes with a customizable header. Page builder – The theme includes an easy to use drag and drop page builder. Header layouts – You can choose from various header styles. Sidebars – You get to choose from 3 options when adding sidebars to your site’s design. Sliders – The theme comes with Revolution Slider, Flex Slider, and Nivo Slider. You can use these sliders when showcasing your content in slideshows. Sticky menu – You have the option to enable the sticky menu function so as to keep your site’s menu visible all the time. Footer – You can use widgets on your site’s footer. Browser compatibility – The theme works for all major browsers such as Chrome, Safari, Internet Explorer, etc. Google Map – The theme supports Google map – so, you can use this feature when showing locations on your website. Demo content – You get samples of website designs that you can copy. Page layout – You can create a full-width or boxed design. With the Ventus WordPress theme’s powerful features, you can create a very functional website for your Company and clients. 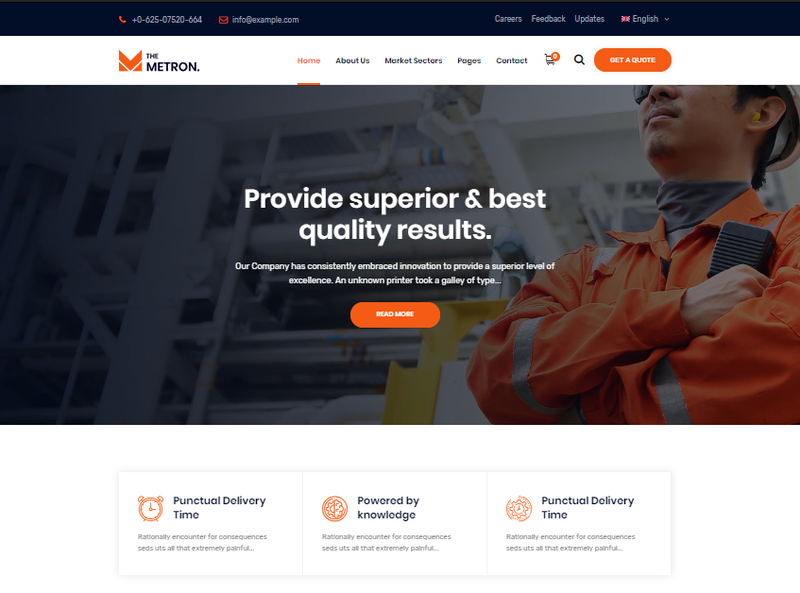 The theme also comes with sections that can showcase products, team members. portfolios, testimonies, and more. For a corporate business theme, you can consider the Cleanstart WordPress theme. It makes for a good foundation for online projects and it’s very easy to set up and customize. Check out its most important features below. Visual Composer – The theme includes this premium page builder to help you arrange and rearrange elements in your website design. Blog – You can choose from several layouts for your blog page. Header layout – The header area can be customized by including images and color combinations. Portfolio layout – You can use masonry or grid style for the portfolio section of your site. Category filters – Your site visitors can use the filter function in navigating through your website’s categories. Google fonts – The theme supports Google fonts. Skin and background colors – You can pick the exact colors that you want to use for your site’s skin and background colors. WooCommerce support – Easily set up an online shop on your website. Responsive layout – Devices with large and small screens can display the theme beautifully. Redux – The theme uses this framework in structuring site layout. Google map – Google map is integrated into the theme – so, you can show locations of your business sites if you need to. WPML support – You can install the WPML plugin if you want a multilingual website. MailChimp – This email marketing tool is integrated with the theme. Twitter feed – This social media tool is also integrated with the theme. 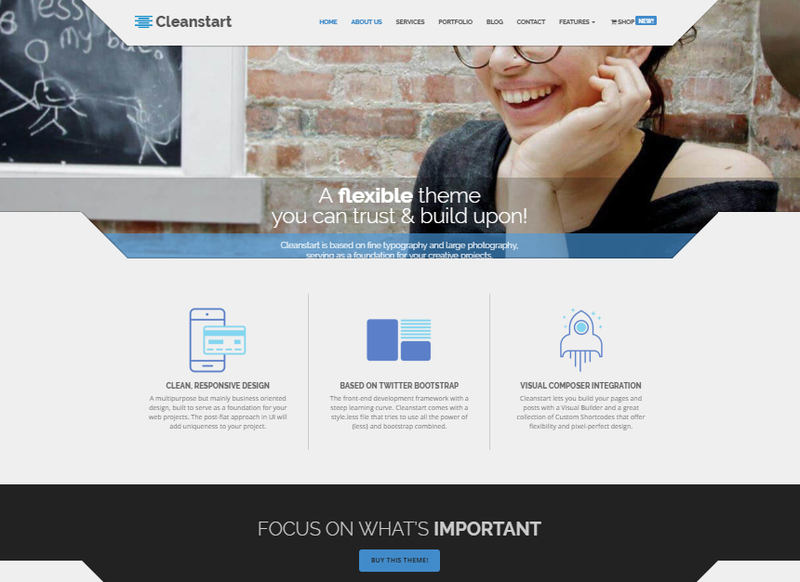 The Cleanstart WP theme is a well-coded and highly responsive theme can make for a great tool in establishing your business’ presence online. The theme is also easy to use and customize according to your needs. 1-Click demo installation – You can choose from the theme’s samples and copy the format and layout that you want. Page layouts – You can choose from over 50 unique layouts. Service layouts – If you need a Services page, you get to choose from at least 3 styles. Portfolio layouts – Choose from 4 styles of portfolio layouts. Single project styles – There are 9 layouts of project styles to choose from. Blog layouts – Choose from several styles for the blog section of your website. SEO friendly – The theme was coded with the best SEO practices in mind. Retina-ready – High-resolution devices will be able to view the theme clearly. Post formats – Posts can include videos, audios, galleries, and quotes. Unlimited colors – You can create your own color schemes in designing your website. Google fonts – You can use over 800 Google fonts when customizing your site. Custom widgets – The theme includes ready-to-use widgets. WPBakery – This drag and drop page builder is included for free. Ultimate Visual Composer Add-ons – You also get this plugin to work with the WPBakery. Slider Revolution – The theme comes with this premium plugin for adding slides on your website. Compatible plugins – You can use Yoast SEO, WooCommerce, MailChimp, and Contact Form 7 with the theme. Pagination styles – You can go for a load more, lazy load or classic load when scrolling down your site. The Adamas WP theme is highly customizable and easy to use. You can consider it for your type of business. A list of its prominent features can be found below. WPBakery Page Builder – This premium drag and drop plugin is very useful in quickly putting up a website. Slider Revolution – You get this premium slide-maker with the theme. Translation ready – The theme comes with .po file that you can use to create a multilingual site. Contact Form 7 – This plugin is already integrated with the theme. MailChimp – Easily handle your email campaigns. Video support – You can include videos on your posts. WooThemes Testimonials – Easily create a testimonials page. WooCommerce support – You can opt to include an online store on your website. Retina ready – The theme looks good on high-resolution devices. WooThemes Projects – This portfolio creator and manager is included with the theme. Unlimited colors – Your color scheme options are unlimited. SEO-friendly – The theme is optimized to function well with search engines. Responsive layout – This theme is able to adapt to any device. Lifetime update – Purchase the theme once and you’ll be provided with free updates for life. Full documentation – The package comes with detailed instructions on how to install and use the theme. With FinancePlus WordPress theme’s powerful page builder, you will be able to put up your business site quickly. To customize it, simply add all the features that you need in your particular line of work or industry. Any of the WordPress themes included in our top 20 list would work well for your business website. Simply choose the one that can most be useful to your business, clients, and customers and you’ll be on your way to a fruitful (and enjoyable) online presence.